Can music remedy sleep problems? In mid-January, Kira Vibe Jespersen defended her Ph.D. thesis at the Center for Music in the Brain. The thesis examined whether music could be a tool for improving sleep quality for people suffering from sleep problems. In the future, Jespersen will continue her work at the Center for Music in the Brain as a post-doc. Sleep problems are one of the most common health problems in our modern society and are associated with reduced quality of life and many physical and psychiatric disorders. Therefore, there is a great need to identify efficient methods to improve sleep quality. On January 16, Kira Vibe Jespersen defended her Ph.D. thesis “Music for Insomnia” at the DNRF’s Center for Music in the Brain at Aarhus University. The thesis examines whether music can be an effective tool for improving sleep quality. In her research, Jespersen first systematically reviewed existing studies in the field. It turned out that such research was surprisingly scarce, although music has a long history of being used therapeutically and of having a calming effect in connection with sleep. In continuation of the review, Jespersen primarily focused on a study that looked into the effects of music on patients diagnosed with insomnia, also known as sleeplessness. Insomnia causes not only poor sleep but also reduced functioning during the day. Jespersen studied the effects of listening to music at bedtime compared with listening to audio books. “We did not see a major effect in our main analysis or in our objective measurements of sleep quality, so it cannot be concluded that music is an effective treatment of insomnia,” Jespersen explained. “But as the test subjects had suffered from sleep problems for up to 30 years, it is also not surprising that a few weeks of listening to music at bedtime did not cure their insomnia. Finally, her thesis examined whether patients with insomnia had structural changes in the brain compared to a control group who usually sleep well at night. “We saw that people with insomnia had network disturbances in brain areas which involve our emotions and in areas that affect our inner sensing, that is, to feel their own body,” said Jespersen. Further studies are required to determine whether patients with insomnia are predisposed to these changes in the brain or if insomnia causes the changes. 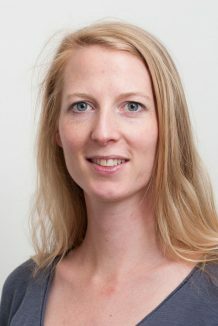 Jespersen expects to continue working at the Center for Music in the Brain as a post-doc, and she is looking forward to working on a study that focuses on whether music can lead to new sleep treatments for patients with dementia. The head of the Center for Music in the Brain, brain scientist Peter Vuust, was Jespersen’s Ph.D. supervisor and he is proud of her effort and impressed by her defense. Professor Vuust is now looking forward to continuing the collaboration with Jespersen at the Center for Music in the Brain. “Kira is a major research talent and has what it takes to become a skilled researcher. She is incredibly trustworthy and is characterized by having a fantastic serenity in her research approach, which can be difficult to maintain as a Ph.D. student,” Vuust concluded.